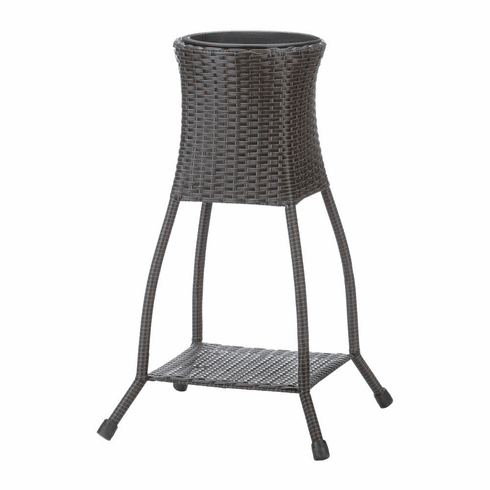 This plant stand is sure to add elegance to any indoor or outdoor space with its dark brown wicker exterior. Perfect for any corner, the planter has a removable black liner pot to make planting easier and offers optional water drainage. The lower shelf is great for extra storage or an additional plant. Suitable for both indoor and outdoor use. Weight 6.8 pounds. 17.5" x 17.5" x 28.5". Polyrattan Plastic. UPC Number: 849179039981.